In case you don't know, I am an avid fan of a thorough Google search in order to find the best images, videos, whatever! So in the process of searching Neon Icon (don't ask why) I somehow veered into searching Coachella Fashion and Coachella Facepaint. And to tell the truth basically every image was inspiring. Here's what I absolutely had to pull and put on my blog for others to equally enjoy. You don't have to be the most creative of artists in order to pull off a really cute "Coachella" look. Sometimes simple and sweet is really the way to go. 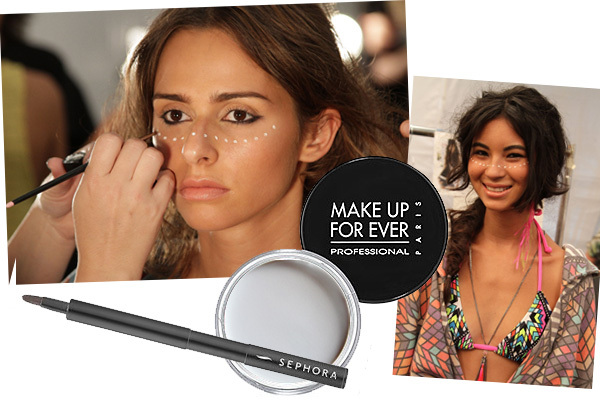 The ongoing trend for simplistic looks is to use white face paint - it's not too distracting allowing less focus on your face and more on your outfit! If you look closely, there is white AND gold face paint, there is white highlighter on the inner corner of her eyes, and the line of white paint on her chin starts at the middle of her bottom lip. See, it's all in the detail. A Coachella post wouldn't be legitimate without a featured image of Vanessa Hudgens. Her effortless boho style serves as inspiration to all trying to pull off a chic look for this music festival. No one is actually expected to all of a sudden become a Vanessa Hudgens look-a-like! Throw on a hat, crop top, high wasted shorts, and some statement jewelry and you're ready to go! In this example, there is an established burgundy-toned theme. This is a good idea for people not used to getting dressed up and tend to look awkward when you try out styles (indie, boho) out of your norm. * Anna Sophia Robb, another style icon, sports a very trendy outfit. Aside, from her vibrant dress that goes well with her equally vibrant smile, she pairs a flower crown with flower-rimmed shades. Note: there is variation between the color of the flowers. This prevents your face from being drowned out by the piles of one color on your head. Same style 3 different ways. You just have to make it your own! Just in case you're completely lost when it comes to putting multiple different pieces together (ie. shorts, peasant tops, etc.) you can always throw on a printed dress. 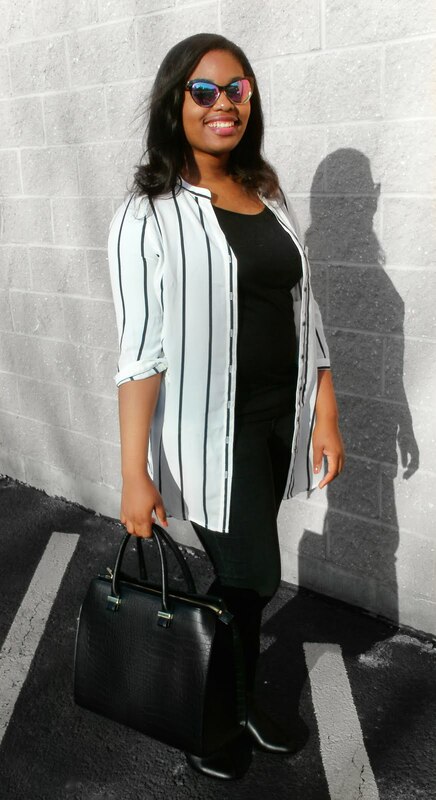 Or you can go with a hat, shades, and a flowy top - not too different from everyday casual wear. Be bold and go with a graphic printed dress that matches your personality. Lemons are so quirky and vibrant! 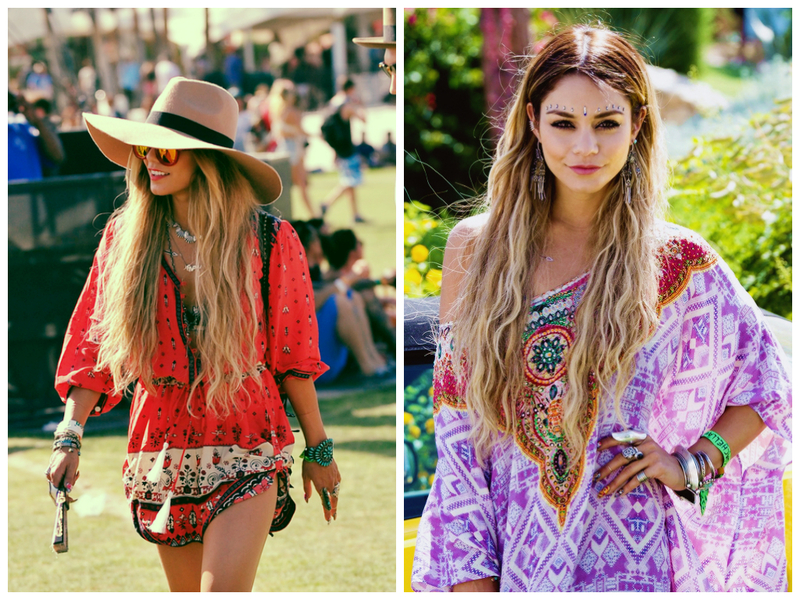 Peasant style anything, oversized rompers, ponchos, kimonos, the list goes on and on for things that scream Coachella. To exaggerate your look, go for accessories that match the same theme and color as the rest of your outfit. Vanessa's look on the left is more laid back and on the right is more artistic. Note: If you want to wear facepaint or jewels, don't wear a hat that will cover it all up; have your hair pushed back from your face so people can see your creativity. The next few images show just how much Coachella style varies. You just have to own it, and the best way to do so is by making sure what you're wearing is an extension of "you" not a pinterest/tumblr/instagram post. 1. Shades are essential! They are a great indicator of style before a person can even get to look at your outfit. If your "Coachella spirit" is loud and vibrant, go for ones that are colored and reflective. If it's cool and nonchalant, go for black/dark lenses or the latest trending pair (most likely something from Miu Miu). If it's silly and goofy go for one decked out in flowers or donuts - food accessories are always fun! 2. FOR PEOPLE WHO NEVER DRESS BOHO: Forget all of your understandings of boho because this is Coachella-boho. Do not limit yourself to all of the flower powery misconceptions of boho that include flared jeans and oversized peace sign necklaces. 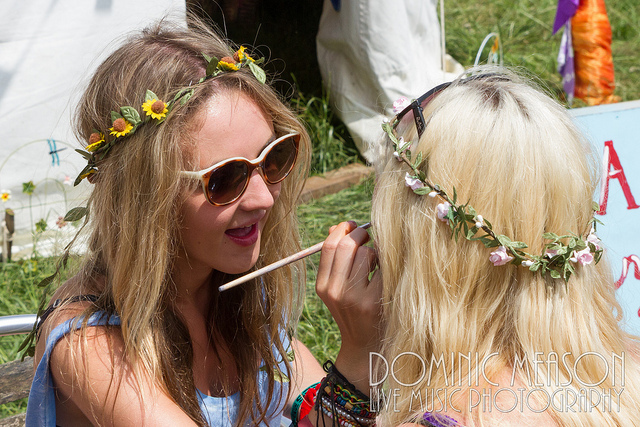 FOR PEOPLE WHO ALWAYS DRESS BOHO: Forget all of your understandings of boho because, again, this is Coachella-boho. Don't waste your money on a Free People dress because no one will be able to distinguish an outfit bought from a high-end store from one thrifted or home-sewn. 3. The absolute most important thing to keep in mind is that Coachella is all about self-expression and the enjoyment of music. You should not copy someone else's style just because you think its acceptable or you are too embarrassed to embrace your own. Having a pin board dedicated to Coachella that just so happens to have a lot of Vanessa Hudgens and Anna Sophia Robb is okay; deliberately looking up what would most make you look like those celebrities isn't. I've never been to Coachella but I absolutely love the boho chic thing.. Everything just looks so effortless!